It’s easy to think while scrolling through your Instagram feed that an exotic beach break is a distant dream. In fact, those images of bright blue water reflecting a beating sun and palm tree-fringed beaches don’t always involve the long-haul flight and the hellish layover you’d expect. There are plenty of exotic island destinations that aren’t as far away as you think and we’ve lined up our top 10 to help the dream become a reality! 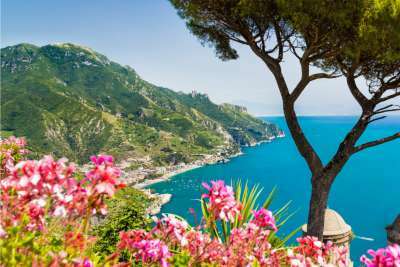 This Italian isle has been the playground of the Hollywood elite for decades, with stars spending long decadent summer months escaping to Capri in search of La Dolce Vita. The main town is set high up above the beaches, perched on soaring white cliffs where labyrinthine-like alleyways lead out onto enchanting piazzas. It is easy to see why the island provides an exotic alternative to mainland Italy, it's explosively colourful - whether it’s the yellow of the limoncello, the brilliant pink flowers that clad white-walled houses, or the deep blue of the Tyrrhenian Sea that separates dreamy Capri from the mainland, and from reality. The smallest of Spain's picturesque Balaeric islands, formidable Formentera should not be overshadowed by neighbouring Ibiza, with the same crystal clear waters lapping its shores as the world-famous party island. Only recently overcome its reputation as Ibiza's 'sister island', Formentera has proved to be everything the party paradise is not - it's stripped back, without the clubs, the bars and the hedonism. What is left is an island claimed by its farmers and fishermen, an island of natural beauty and beaches that could be easily mistaken for white sand bays in the Caribbean. 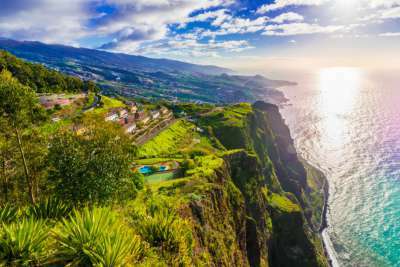 An island of botanical splendours and clifftop views of the glittering sea, Madeira is a subtropical paradise and just a couple of hours away by plane. Thanks to a unique climate, it boasts otherworldly blackened volcanic beaches, towering volcanoes and fragrant forests of eucalyptus trees that make Madeira feel almost Jurassic. The island has a year-round balmy climate with temperatures rarely plummeting below the blissful late teens, ideal for enjoying its spectacular landscape to the full. This enchanting chain of islands sits off the coast of north eastern Africa and is blessed with year-round blissful temperatures and stunning scenery. 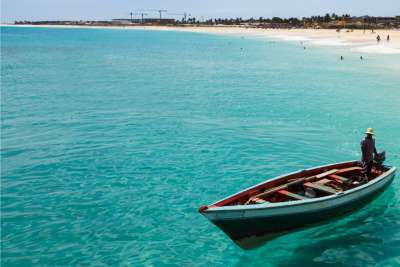 From its captivating sunsets over unspoilt beaches of powdery white sand and craggy mountainous peaks, Cape Verde ticks all the boxes and is a mere six hour flight away. The waters are crystal clear and tepid all year round, and with its tropical marine life made up of manta rays, sharks and sea turtles, it's a snorkeller's paradise. This Grecian island has had a unique evolution over the centuries after a series of volcanic eruptions dramatically paved the way for its settlement. Now its tumbling blackened cliffs fall away into the sparkling Aegean Sea and perched atop are the heavenly blue-domed roofs and sugar cube houses of the island's capital Fira. Below the busy town, Santorini's red and black beaches are made up of volcanic sands, creating a surreal landscape that gives it an otherworldly character similar to the sights of the volcanic Galapagos Islands. The tiny archipelago of Malta lies in the middle of the Mediterranean and is made up of the largest island Malta, the smallest and practically uninhabited island Comino, and Gozo. 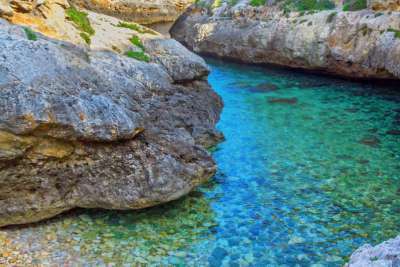 The more rural of the three, Gozo is home to some fascinating ruins and relics that transport its visitors back in time, but more spectacularly are its beaches, caves and rocky bays with spectacular scuba diving opportunities. What's more, Gozo's history and conflicting heritage over the centuries has created a blend of cultures, giving Gozo a distinctly foreign and exotic flavour. 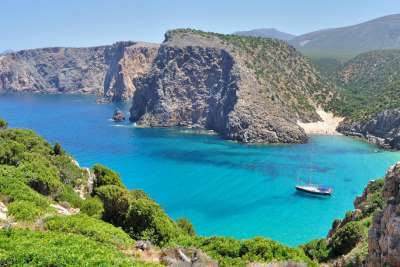 In the heart of the Tyrrhenian Sea is the island of Sardinia. Its landscape is characterised by sweeping pine forests that tumble down to the picturesque shoreline. What makes this destination truly exotic is its foreign culture which blends Italian lifestyle with Mediterranean gusto. Its beaches are unparalleled in beauty, with fine white sands and rocky bays that wouldn't be out of place in the tropics of Central America. Its geographical location means that Sardinia is sheltered from the elements, and so its waters are still and peaceful. 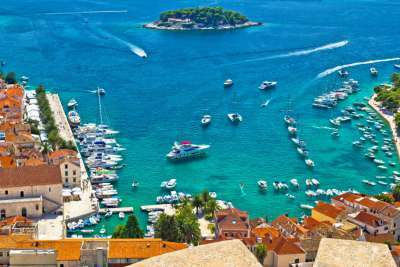 This lush green Croatian island is located in the Adriatic Sea and can be accessed by ferry from the popular seaside resort town of Split. The island is well worth a trip if you fancy an escape from the mainland and features a beautiful red-roofed Old Town. But its beaches are the main draw, with small pebbly bays dotted around the island with softly lapping water with a mirror-like quality. The island is also known for its caves where beams of Croatian sunlight pour in and cast a magnificent spectrum against the azure water. 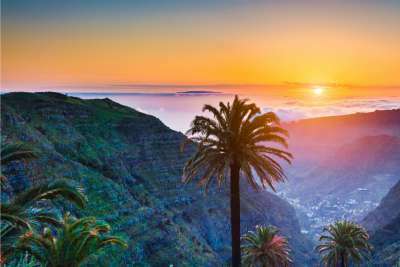 The Spanish Canary Island of La Palma is a dreamy getaway where you can enjoy secluded beaches without the hordes of tourists who tend to flock to neighbouring Lanzarote and Tenerife. The island is peppered with imposing volcanoes like Teneguía and Cumbre Vieja that centuries ago created La Palma's black sand beaches. These serene bays give the island a mystical character and the dark sands absorb the heat from the sun and make the water beautifully warm. In the centre is the Caldera de Taburiente National Park which is a huge crater-shaped formation covered by dense pine forest and waterfalls and streams that have carved deep valleys. On the western edge of Europe lies the Azores, an archipelago uninhabited up until the 15th century that still maintains a secret charm and air of mystique. Like its cousin islands in the Canaries, the Azores were created by tectonic shifting and remain to this day beautifully wild and rugged. 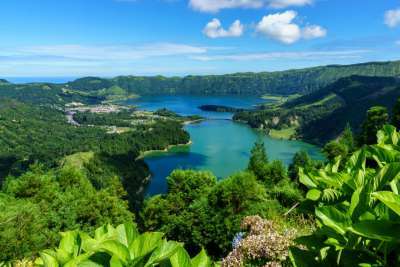 The biggest island of Sao Miguel is known for its lush flora and its magnificent crater lakes. What's more, on its black volcanic beaches you can find hot springs and waterfalls that spill out into the sea. The islands' isolation in the heart of the North Atlantic Ocean makes this cluster Europe's very own answer to Hawaii.